I guess it could of been awhile back when I should of ended blogging for a bit since it’s the Summer season. The “upcoming” season will start in September. Ending at 30 posts seems like an equivalent to almost a season. So far, changes have happened. Two friends will be leaving Ottawa. Mr. Crick, who I have known for a few seasons, I mean year, is off to Boston and longtime friend, Eric Chan is off to Japan. No changes on the blog, it will be the same, no new look. The only new look for me will be new glasses(coming soon) and a new Roots jacket. So, for the remaining weeks of August, I am not writing an entry. August 16, 2006 – Slight Update: Fixed the Links to open on separate windows. Another “shameless” plug and most likely will be googled up. I added Miss Alyson Hau’s website to my list of links. Oh man, it’s August and I didn’t know that time flies by so fast. Well, at least I want to go back to Carleton University and hopefully finish my year for 2006-2007. Insane day for me because I was expecting a call from a friend and I had to wait for pretty long. At least it was worth it because I won’t be seeing him for awhile. I hope he enjoys The Walking Dead HC Vol. 1 and other goodies I gave to him as his parting gift to Boston. 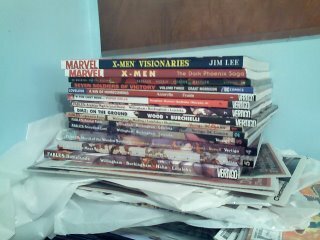 This week’s picks for comics, NONE. It’s the first week of August, there’s not much good comics out to start it off. 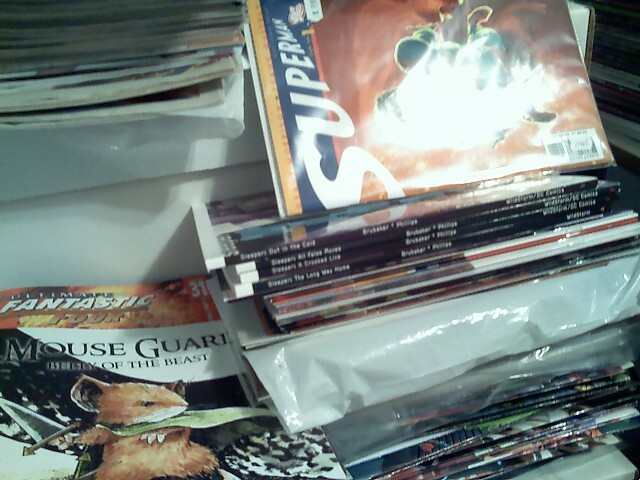 It looks like I will have no new comics for next week. What a bummer and how depressing for me. Here are a photo from June 15. 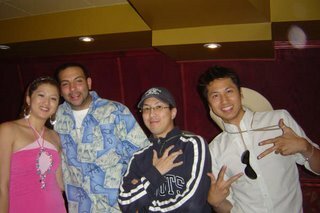 That’s Viv, Ziad, me and Mike. Enjoy. Finally, my profile pic updated. Well, I have been watching some FIFA World Cup Football 2006 lately. Who to cheer for? Not sure, I really hope England gets through. Looks like France won’t. Spider-Man revealing his identity in Civil War #2. I hope Marvel Comics makes it good. There seems to be a good and bad point to Spidey revealing himself.